Monday 20th June 2011, A bunch of beautiful Irish roses gathered together to explain “it’s as easy as one, two, three” to take part in the 2011 Waterways Ireland TriAthlone. The eight roses from all over Ireland bunched together to kick off the official countdown to Ireland’s biggest annual triathlon event which takes place on Saturday 2nd July, 2011 in Athlone. The eight roses from Leitrim, Mayo, Limerick, Waterford, Kildare, Westmeath and UK are taking part in this year’s 2011 Waterways Ireland triAthlone as part of the relay event to raise awareness and funds for Breast Cancer Ireland. The roses are joined by Lt. Oisin McGrath from the Defence Forces Triathlon Team, ahead of representing Ireland at the World Military Games in Brazil this July). The race continue it’s long-standing relationship with the Defence Force, with Cutume Barracks continuing it’s role as hub for event registration and transition. Waterways Ireland triAthlone has an event for participants at all ability levels. To grow the fun and charity side of the triathlon this year, organisers have added relay team events for each of the 3 race distances: Try-A-Tri, Sprint and Olympic Distance. 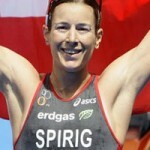 Teams can consist of either 2 or 3 members splitting the disciplines of swim, bike and run between them. 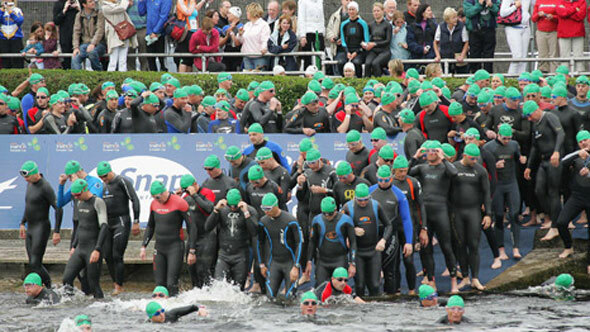 The 2011 event already has over 2,000+ competitors taking part, and with very limited places remaining to be filled organisers are advising anyone interested in taking part to log on today @ www.triathlone.ie to be sure to book their place. 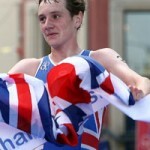 Ireland’s Olympic triathlon hopeful and well known triathlete Gavin Nobel Is delighted to be taking part and be in with a chance to compete for silverware in the event, after a successful 2011 campaign to date, putting him serious in the running to qualify for London’s 2012 Games. The event has grown in strength and reached an all time high last year when they hosted Irelands’ first ever ETU European Triathlon Championships. The event as a whole has provided a great boost to the local economy and unprecedented tourism opportunities for the midlands region. Other charities represented at this year’s event include Respect – for who RTE presenter Kathryn Thomas is competing and Crumlin Children’s hospital. 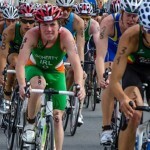 The race will begin with a swim in the River Shannon, from which the competitors will then take to their bikes for a cycle through south County Roscommon before the exciting town-centre run which will see the event finish in the heart of Athlone. The event is running in tandem with Athlone Town Council’s Summerfest which will offer entertainment and activities for the whole family throughout the weekend (www.athlone.ie).